Hello there and happy Easter Sunday to you! 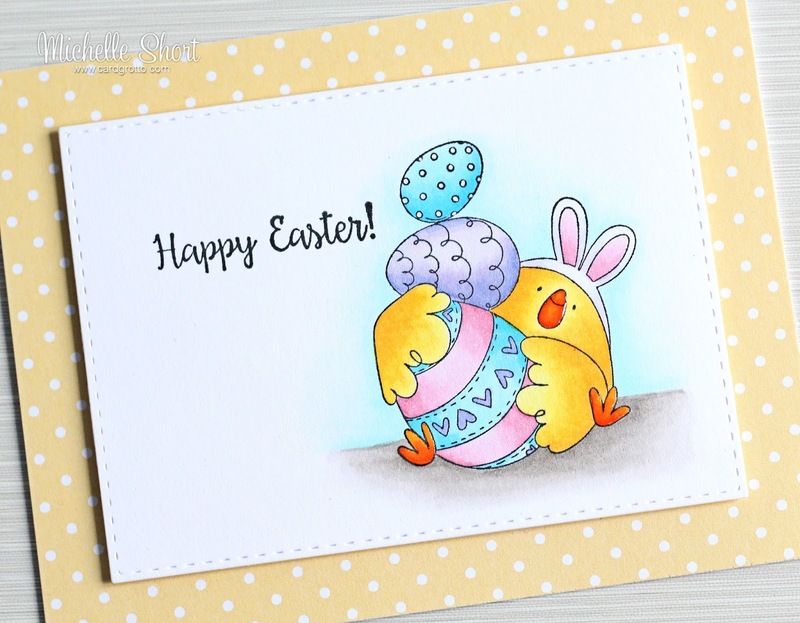 Today I have a card to share that I made for my brother, SIL, niece and nephews for Easter. 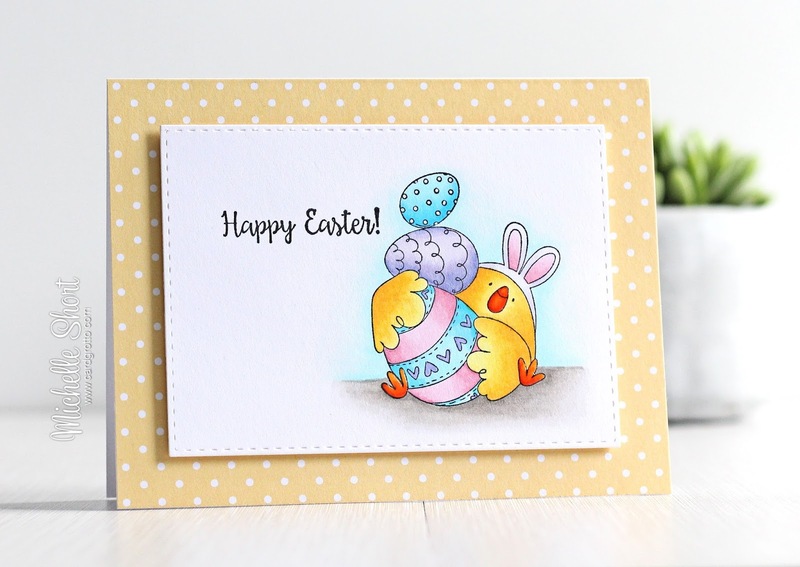 I used another Stamping Bella image for this card, this time the Easter Bunny Chick. I started off with a panel of white cardstock that had been cut using a SSS Stitched Rectangle die. I then stamped the image on top using Memento Tuxedo Black. The sentiment, from the same set, was stamped to the side. The image was coloured using Copic Markers. I took an A2 sized white card base and added a piece of MFT Lucky Prints patterned paper on to the front. The stamped image was then added on top with foam tape. To finish off, I added white dots to the top egg with a Gelly Roll pen, I also added Spectrum Noir Sparkle Pen to all of the middle egg. I also added Glossy Accents to the chick's beak and feet. COPIC MARKERS - Chick: Y19, Y17, Y15, Y13, YR09, YR07, YR04. Bunny Ears: C3, C00, BV00, R83, R81. Top Egg: B04, B02, B00. Middle Egg: BV13, BV11, BV00. Bottom Egg: R85, R83, R81 plus colours from the other eggs. Ground: W5, W3, W1. Sky/Background: B00, B000, B0000. I am loving these cute Stamping Bella images. Thank you so much for visiting me today, wishing you all a lovely day! Happy Easter to you too Michelle! Hope you had a lovely day yesterday! Your card is lovely, as always, and I love your colouring in! Absolutely gorgeous! Love the colouring and the layout!